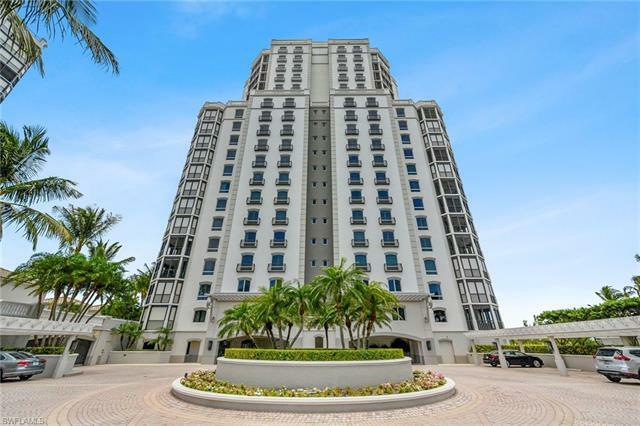 Award-winning moraya bay is naples newest and most luxurious beachfront building. Rarely available, this '03' unit designed by w design with custom finishes by artisans guild. Sweeping unobstructed vistas of the coastline from the wraparound terrace & building amenities which rival a 5 star resort. In-house restaurant with pool, beach & room service, fitness center, a concierge and 24 hour security for ultimate privacy and comfort. A private elevator opens directly into the entry hall of this exquisite 7th floor home. A magnificent floor plan with roomy master bedroom looking west out over the gulf of mexico, a spa inspired master bath with dual vanities, rain shower and soaking tub, 2 en-suite guest bedrooms, a powder room, office, grand salon, dining and separate family room, all of which are elegantly appointed with transitional coastal flair. An array of unique and beautiful designer features include oak and natural stone floors, handcrafted american walnut millwork, ochre horn hardware, media wall, calcutta waterfall counters highlighting the gourmet kitchen and chefs pantry. The home encompasses all manner of architectural detail which are beyond exceptional and a must see. 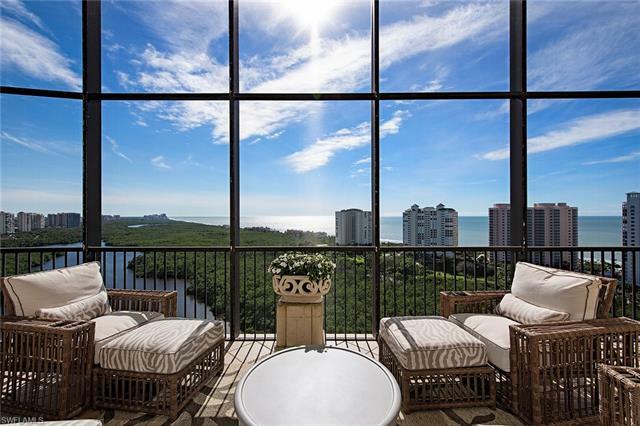 With dazzling sunset views and direct beachfront access, this stunning 4,389 square foot condo, located on the 10th floor of exclusive moraya bay, is perfect for entertaining or as a captivating family retreat. Enter through the private elevator and youre greeted by gorgeous wide-plank wood floors, floor-to-ceiling glass mesmerizes with magnificent views of the gulf of mexico from the kitchen, dining room, great room and master suite. A beautifully-outfitted chef-grade kitchen complimented by a full butlers pantry. Its inviting and expansive open lanai (with glass railings) makes sunsets feel close enough to touch. While the large master bedroom looks westward out over the gulf of mexico, the unit also includes two en-suite guest bedrooms, a fourth bedroom, a powder room, as well as formal and informal living rooms. And to make the good life even better, when youre not spending time inside this spectacular space, moraya bays two pools, restaurant, gym, beach and poolside service, and full-time manned security and concierge services, make you feel as though youre at a 5-star resort. Incredible seaside residence! Boasting a spacious architectural design, this floor plan features over 4,550 sq. Ft. Of delightful air-conditioned space in addition to its expansive wraparound terrace capturing mesmerizing views of the gulf of mexico, the coastal shoreline and wiggins state preserve. With its beach house ambiance. The private elevator entry complements this beachfront residence featuring a spacious open great room, gourmet kitchen, unique butler's pantry, gracious master suite, two full guest suites and den. Moraya bay offers residents an amenity-rich lifestyle featuring a state of the art fitness center overlooking the gulf, beach and poolside dining service, residents private dining with full kitchen. Utmost in privacy, top-notch amenities totally secured and directly on the beach!